Baby showers are such a sweet way for friends and family to show their love and affection, but sometimes it’s hard to know what gifts a new mom will actually use. As a fairly recent new mom, here are some of the items I loved (or would have loved) as a new mama. Check out these gift ideas new moms will actually use. This is the one item I will buy for any of my new mommy friends, whether they registered for it or not. A white noise machine was a total game changer for our princess. What new mom wouldn’t want more sleep? This is my favorite one. It runs on batteries and a wall outlet, has timer settings and multiple sounds. Plus it’s less than $20! There’s no such thing as too many diapers. Personally, I love Luvs brand of diapers and Huggies One and Done Wipes. After several bouts of diaper rash (including a nasty yeast rash) these are the products that have worked best for us. I recommend registering/gifting diapers in larger sizes (1, 2 and 3’s). Newborn diapers are great, but they outgrow them pretty quickly. If you haven’t already, check out diapers.com which offers convenient delivery and sells waaaayyyyy more than just diapers. Who knew?! Newborn clothes are adorable, but let’s face it, babies grow fast. I had an entire pile of clothes with tags that were never even worn, and I barely did laundry for the first 3 months. If you’re purchasing clothes to give a new mom, buy sizes 12 months and up so she is stocked up for the whole first year. This is a gift that keeps giving. 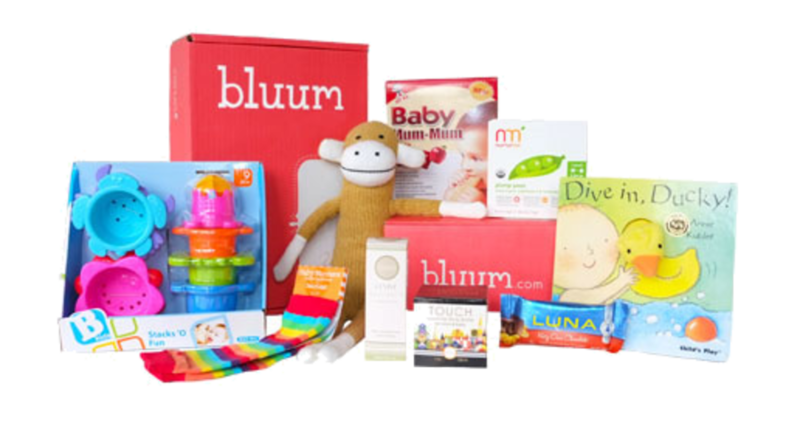 The new mom will receive a monthly box with products specifically designed for the age of the child and the stage of motherhood. The have pregnancy boxes all the way through preschool age. Such a fun and unique gift idea! Check out more about Bluum. The last few months of pregnancy are incredibly hard. 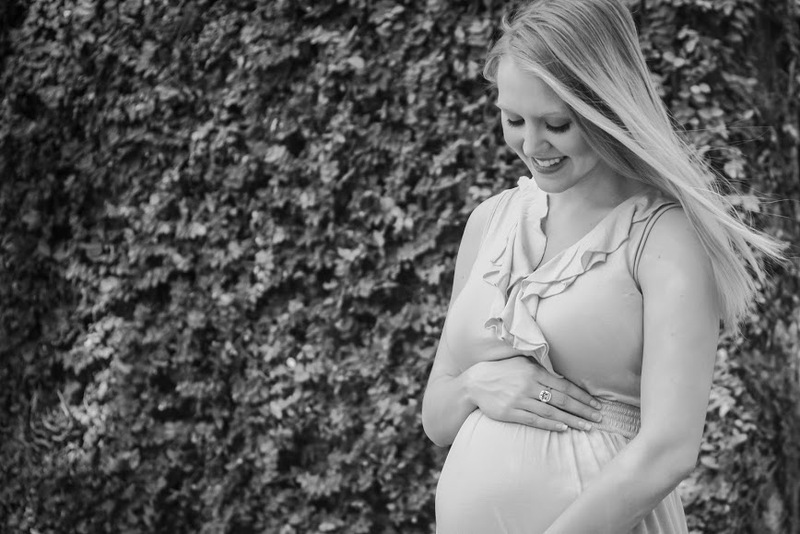 A new mom would appreciate a relaxing pedicure or prenatal massage to help ease the discomfort of the third trimester. Make sure you purchase a gift certificate from a certified massage therapist who is trained and licensed for prenatal massage. Safety first! I have the most adorable baby book that I haven’t even touched since we returned home from the hospital. This “Mom’s One Line a Day: A Five Year Memory Book” is such a great gift for new moms. One line a day is so much easier than a traditional ‘baby book’ and still helps preserve those precious memories. A new mom has NO IDEA what to expect when recovering from delivery. No amount of reading can prepare you for the physical pain and discomfort post part. My sister in law (who’s quite well versed in birthing babies) gave me several Earth Mama products that were absolute lifesavers! This gift set has everything a new mom could need to take care of herself after delivering baby. Check it out. Incredibundles offers the cutest baby gift sets, and they make purchasing so easy. My daughter absolutely LOVES the books sets. Their books are the perfect way to start a baby’s library and foster a forever love for reading. Incredibundles has countless gift set options including diapers for a year, sleeps sets, bath gifts and more. This is your one stop shop for any baby need. See my Incredibundles review here! I LOVE this set from Henry N Company on Etsy. 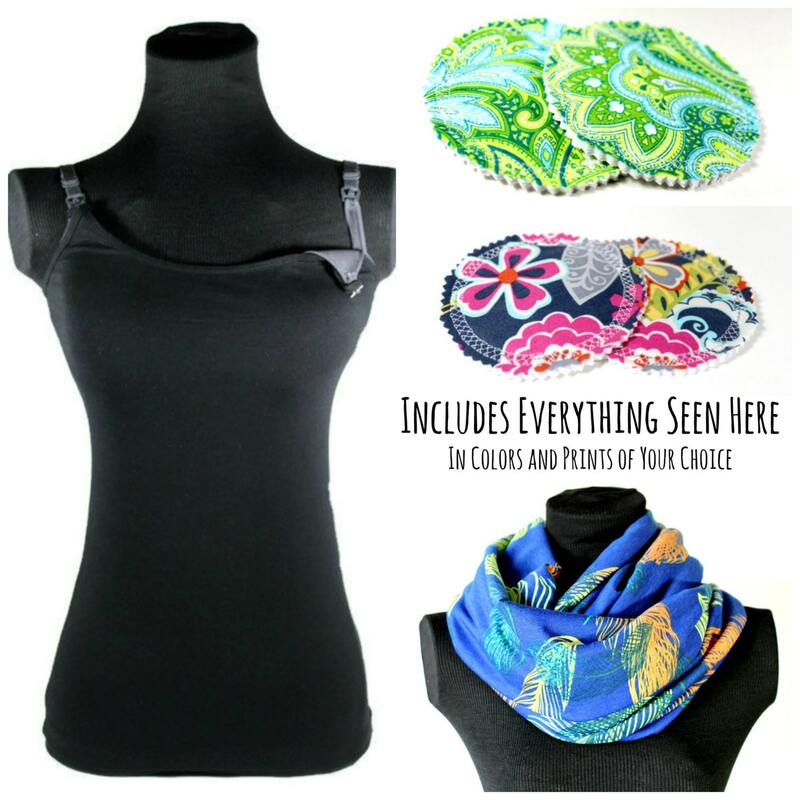 It comes with a nursing tank, infinity nursing scarf and nursing pads. I lived in nursing tanks for two months after our daughter was born. This gift set would have been so perfect! One of my favorite baby shower gifts was a customized lovey with my daughter’s name embroidered on it. This one is similar and comes in both a girl and boy version. Although it’s NOT safe for a newborn to sleep with a lovey, it is great to have from birth for sentimental value. My daughter loves hers and has slept with it nightly since she turned one. What did I miss mamas? Is there a gift you loved or a specific product you couldn’t imagine raising a baby without? Please share your thoughts in the comments below. I like the one-line-a-day book idea. I’ve never heard of it but I agree that it sounds much easier to keep up on than a traditional baby book (which I also failed at).